CWD Detected In Teton County, Do Elk Feed Grounds Need To Go? The green trash can is where hunters are required to deposit harvested elk heads on the National Elk Refuge. There are a couple of these bins spread out on the refuge. On a snowy and foggy morning in Jackson Hole, Brian Glaspell, manager of the National Elk Refuge, walked toward a green trash can. "So, you can see, we have a few little instructions for people," he said. Glaspell opened the trash can and peered inside, "No heads." The easiest way to test for Chronic Wasting Disease (CWD) is to sample the animal's lymph nodes which are located on the neck. Glaspell called for a mandatory CWD testing of all harvested elk on the refuge right after the first mule deer in Teton County tested positive for the disease in November. Chronic Wasting Disease is a contagious brain disease affecting deer, elk, and moose that usually leads to death. As of this date, no elk has tested positive. But Glaspell said the fear that CWD will cause a decline in the elk population is real. "Creating these dense concentrations seasonally for elk literally creates a feeding ground for things like brucellosis and now CWD," said Glaspell. Elk are a huge part of Wyoming's economy in terms of hunting and wildlife viewing. According to a recent study, big game hunting, of which elk hunting is the most popular, contributes about $303 million to the state's economy. Nathan Galloway, a wildlife disease ecologist for the National Park Service, said it's not known whether CWD will cause population declines in elk as it has with deer. "We are also not certain that it won't cause decline," said Galloway. "So, in the Laramie mountain population [CWD] seems to have never reached those high levels that have really negatively impacted the population." Currently, the Laramie Peak Elk Herd is free roaming and has the highest Chronic Wasting Disease infection rate in Wyoming at an average of 6.4 percent. The herd is in the Laramie Range of Wyoming. Sy Gilliland, the Vice President of the Wyoming Outfitter Association, said the Laramie Peak herd tends to congregate in high densities but the infection rate really isn't that high so he said feed grounds are a non-factor. 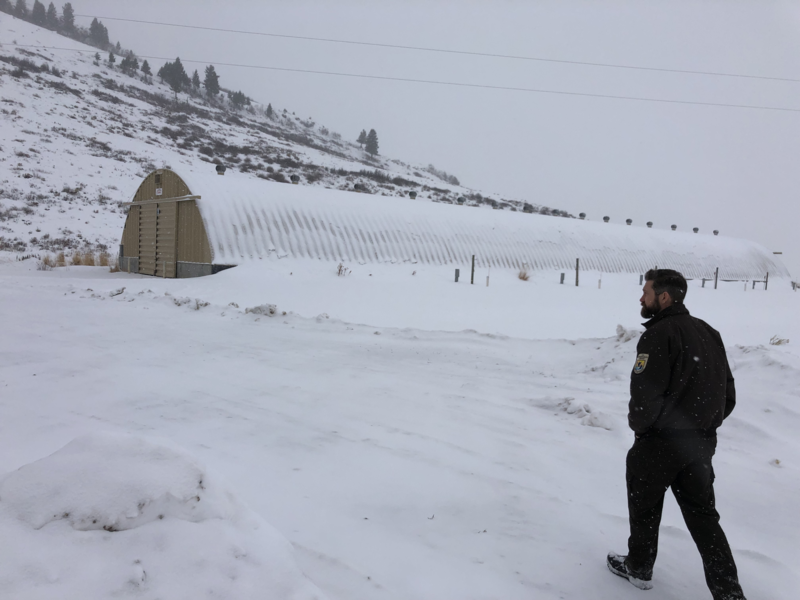 Brian Glaspell, the manager of the National Elk Refuge, walks toward the shed where the elk's supplemental feed is stored. "The whole bias, we're somehow going to lower the infection rate of CWD amongst elk. In my opinion, it is false. Eliminating feed grounds isn't going to do a darn thing," he said. Gilliland added that CWD is much more common in deer than elk. Galloway, the wildlife disease ecologist, said it's true CWD is so far deadlier in deer but it's possible it moves slower in elk. He said to take a look at the Rocky Mountain Elk herd in Colorado which is at an infection rate of 13 percent. "This high level of disease ­­­that we­­­ observed in Rocky [Mountain National Park] was after several decades of the disease being present there…over 25 years," he said. CWD is an infectious disease, which usually spreads more rapidly in dense populations. That's why the environmental groups and a former National Elk Refuge employee are calling for the National Elk Refuge and the 22 state-owned feed grounds to stop supplemental feeding. "In Rocky Mountain National Park, those animals aren't fed, not artificially crowded and in feed grounds, I'm just almost certain that number will be higher," said Bruce Smith who worked at the National Elk Refuge for 22 years as a senior biologist. He said the refuge and the state continued supplemental feeding because it became cultural and was not about good management. "More elk, some perceive, is more economic benefit for businesses, for outfitters and some of the general public," he said. 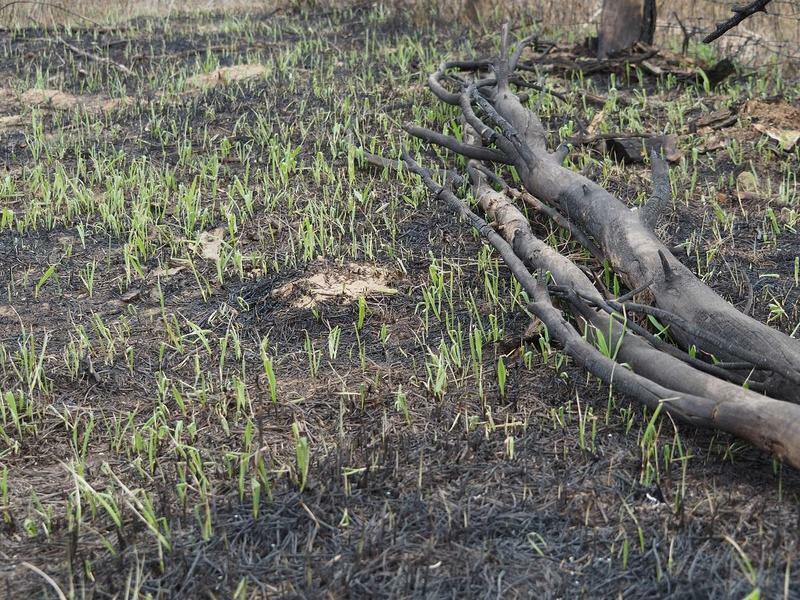 Brian Nesvik, the chief game warden of the Wyoming Game and Fish Department, said he doesn't deny it's one of the reasons feed grounds, have been kept around. "We have a responsibility to provide an elk resource that we otherwise wouldn't be able to provide without supplemental feed," Nesvik said. And he said CWD is worrisome, but no one knows exactly how CWD functions or what to do about it. There's no doubt it's dangerous for cervid populations like deer, moose, and elk but there seems to be no clear solution. So managers are doing their best to minimize the damage.